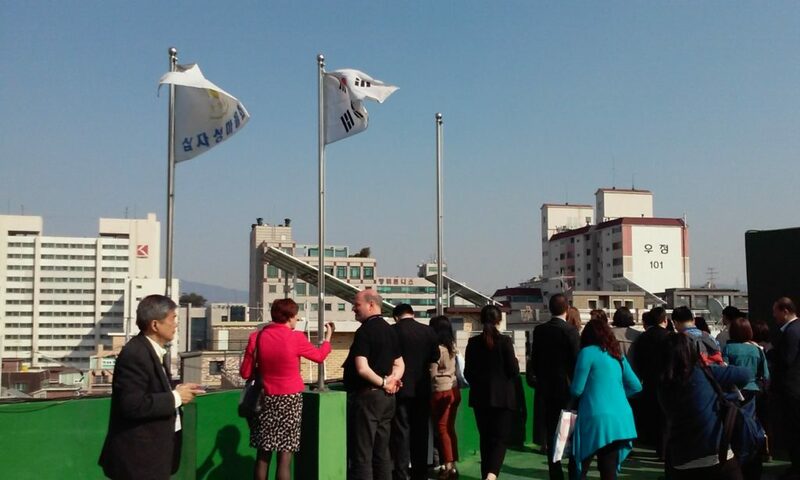 Today Mobile Workshop participants at the ICLEI World Congress visited the Sipjaseong energy self-reliant community in the Gangdo area of Seoul, South Korea. This neighborhood community generates approximately 50% of their own energy through the use of photovoltaic solar panels. The village was founded in 1974 by the Korean government for wounded veterans of the Vietnam War. Residents share a strong sense of community, and together are deeply invested in creating an energy self-reliant neighborhood. It all started years ago when a few residents wanted to do something to address energy consumption issues, and persuaded other community members to join their cause. Sipjaseong residents not only generate their own electricity, but also practice energy conservation through a number of strategies. Households use energy saving power strips, and many community members keep rooftop gardens. The neighborhood has created a classroom in their community center, where neighborhood representatives host educational presentations. Village representative Roh Sung-nam explained that through education and outreach he hopes to make a ‘ripple effect’ of energy conservation. The Sipjaseong community hosts people of all ages in their community center classroom, from schoolchildren to international politicians like the ones visiting from ICLEI. Energy consumption reports for each household are on display in the community center, where residents can go to review their monthly energy consumption patterns. 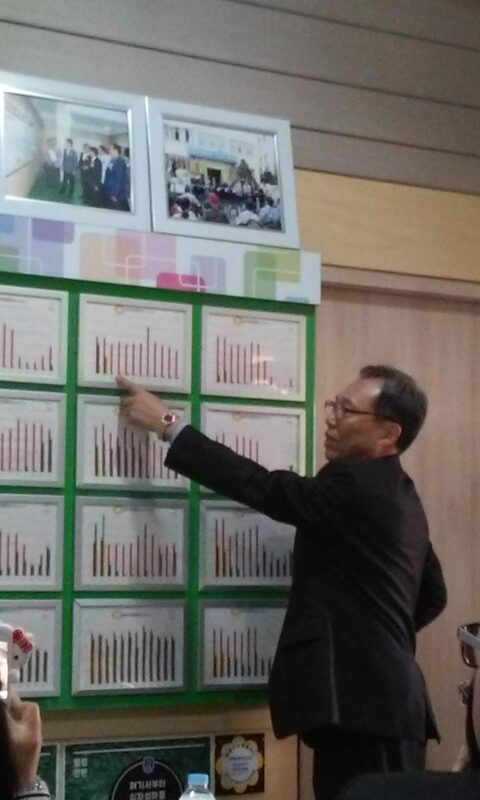 Sipjaseong resident Roh Sung-nam shows his household’s energy consumption compared to that of his neighbors. In 2013 the government provided subsidies that paid for two thirds of the cost of instillation fees for PV solar panels. Still, residents invested four million KRW of their own money per solar panel. Mr. Roh Sung-nam said that he is interested in Seoul’s ‘One Less Nuclear Power Plant’ policy, explaining that the Fukushima disaster shocked him and made him think ‘we have to be independent of nuclear power’. 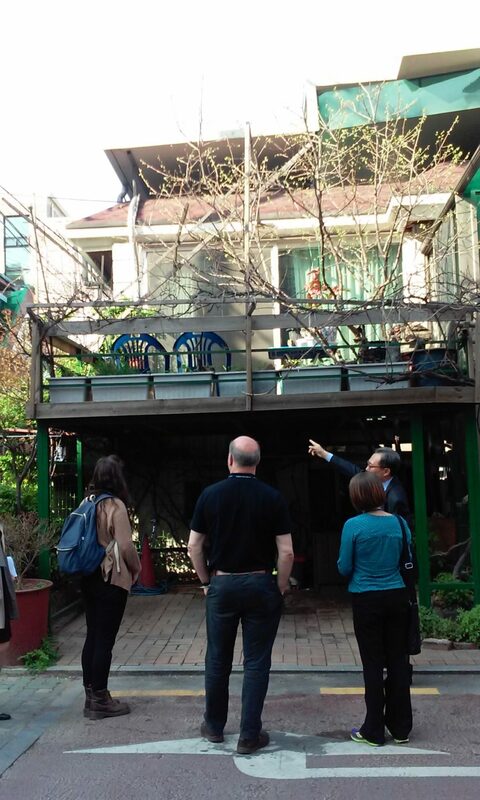 Sipjaseong resident Roh Sung-nam shows mobile workshop participants his patio and garden. ICLEI mobile workshop participants look at the many solar panels that have been installed on residential rooftops in the Sipjaseong Energy Self-reliant Community.